• The 2012 ARIA Awards are moving to the Sydney Entertainment Centre. The team from ARIA made the announcement this week that this year’s awards will hit the venue on Thursday November 29 and will be telecast on Channel 9’s digital channel GO! Voting in this year’s awards has been happening across the past week (naturally, we’ve been giving some good Aussie pop a push with our vote), with nominees in all categories announced on Wednesday October 03. • Sony Music serviced the new P!nk single ‘Try’ to Aussie radio yesterday morning. The Greg Kurstin-produced track is the follow-up to the double platinum smash ‘Blow Me (One Last Kiss)’ and is lifted from the singer’s new album ‘The Truth About Love’, which drops this Friday. • The team from Fuzzy will officially announce the line-up for Sydney’s Shore Thing new year’s eve event this Thursday. Shore Thing will once again hit Sydney’s iconic Bondi Beach for all the new year’s festivities, complete with big name talent and plenty of fireworks. • Club goers are already dancing their butts off to this lil’ tune (it’s been slam dunking the top five on the ARIA club charts for almost 12 weeks), but now it’s radio’s turn to get on board. 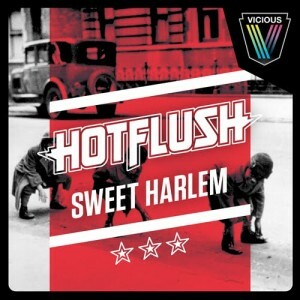 Hotflush (AKA Melbourne gents Chardy, Aaron Trotman, Nick Young and MC Matthew Charles) have officially sampled the Harlem Globetrotters’ theme song ‘Sweet Georgia Brown’ and have whipped it into a dancefloor favourite. • Sarah Blasko’s forthcoming album ‘I Awake’ has mysteriously vanished from this week’s Universal Music release schedule, but it still looks as though the singer is on track for an October 26 release for the new LP. She’s been leaking little clips over on her YOUTUBE channel this week, with an official announcement due on Monday. • The Laneway Festivals are back in 2013. Organisers this week announced the dates for next year’s events, which will again take place in all five major centres, along with Auckland and Singapore. Singapore will kick proceedings off on January 26, before the tour takes in Auckland (Jan 28), Brisbane (Feb 01), Sydney (Feb 02), Melbourne (Feb 03), Adelaide (Feb 08) and Perth (Feb 09). The Australian line-up will be announced on Wednesday September 26. • In more festival news, Stoneday will be back in our nation’s capital on Friday October 26. The national festival always attracts the cream of Australian talent and this year will be no exception, with the likes of San Cisco, Alison Wonderland, Skryptcha and The Griswolds announced. Tickets are on sale now. • Brisbane’s Sprung Festival has added more artists to the bill with the announcement of their official 2012 afterparty. Newly included on the line-up are M-Phazes, Mantra, DJ Reflux, Maundz and Mr.Hill and it all hits The Valley on Saturday November 10. Tickets are on sale this Thursday. • The finalists in this year’s race for the Mercury Prize will be announced in the UK late this Wednesday. 12 acts will be vying for the celebrated prize, with the winner revealed in the annual ceremony on Thursday November 01. • British singer songwriter John Waite will tour Australia in November. The frontman for groups The Babys and Bad English will play 14 dates as part of his visit – from Perth in the west to Hobart in the south and as far north as the Sunshine Coast. Further info is available HERE, but tickets for all dates are on sale now. • The Taylor Swift honeymoon is over, with her all-conquering, million-selling single ‘We Are Never Ever Getting Back Together’ being prised out the top spot by former No.1 ‘Whistle’ by Flo Rida. New music from Neon Trees heads into the top ten for the first time, while Guy Sebastian’s single with Lupe Fiasco ‘Battle Scars’ debuts at No.73. • Over on the Billboard albums chart, it’s a No.1 debut for TobyMac’s new album ‘Eye On It’. Slaughterhouse weren’t too far behind, with a No.2 debut for ‘Welcome To : Our House’, with Alanis Morissette’s ‘Havoc And Bright Lights’ coming in at No.5. • For all the juicy goss on the charts here at home, check out our weekly Chart Watch segment, which will be live at 9am AEST tomorrow! The chart news and debuts are all right here every Sunday.